During a recent ungulate survey in Khunjerab NP, the Snow Leopard Foundation (SLF) team was in for a special treat! They came across a snow leopard family – a mother with three cubs! With their mobile phones and pocket cameras, the team managed to take some footage of the cats, before moving on to count ibex. You can watch the video below! KARACHI: A pod of killer whales was recently observed about 50km south-west of Churna Island. This is the first ever recorded sighting of this species from Pakistan’s waters, the World Wide Fund for Nature-Pakistan (WWF-P) reported on Monday. The killer whale, also known as orca, is considered as the most powerful predator on earth. It has been reported a few times from Oman and the Gulf but rarely found in the northern Arabian Sea. “Mohammad Muneeb looking for tuna with his team about 50km south-west of Churna Island recorded a pod of killer whales on November 19. The three orcas were feeding on a school of queenfish. [There is] no authentic record of this species earlier known from Pakistan’s waters,” says a press rele­ase. 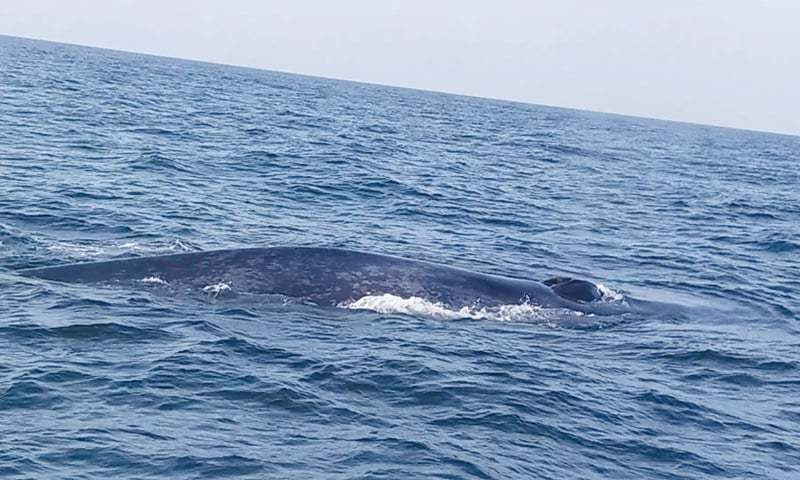 KARACHI: A giant blue whale has recently been spotted along with its baby off Churna Island, Balochistan, the World Wide Fund for Nature-Pakistan (WWF-P) reported on Thursday. 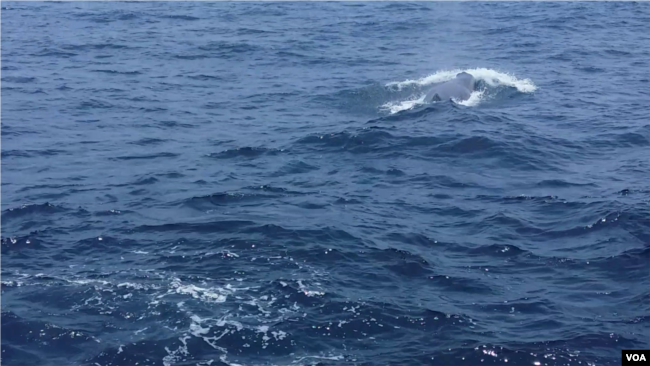 This was the first live sighting of the blue whale, stated the organisation, which had earlier reported sighting of a sperm whale pair off Jiwani. The blue whale is listed as endangered in the International Union for Conservation of Nature (IUCN) Red List and its global population today stands at around 10,000 to 25,000. Fishermen on Tuesday spotted a pair of sperm whales near Jiwani ─ the first such sighting in Pakistani waters, a press release issued by the World Wide Fund-Pakistan said. In December 2005, the skeleton of a sperm whale was reported to be found on Sonara Beach near Karachi, whereas a few bones of another specimen were collected from Daran Beach near Jiwani. The month of November has been a particularly bloody one for the under-threat Asiatic black bears of Mansehra district. While the picturesque green hills and forests of the region are a natural habitat for the species, co-existence for man and wildlife has been anything but peaceful here. A wild leopard attacked a 10-year-old boy Azhar, killing him in the forest area of Makol Bala in Abbottabad. According to details, the incident took place when Azhar was playing outside the house and a wild leopard attacked him claiming his life on the spot. The relatives rushed out of the house after hearing screams but were unable to chase the beast. The corpse of the deceased was taken to a hospital for post mortem after which the doctors handed over the body to the family. The incident has created fear among the locals. Pakistan Wildlife Conservation News brings you the latest wildlife news from Pakistan. The latest conservation issues relating to protected areas and the biodiversity of Pakistan.